Forget the charging port—the roads of the near future could power your electric car while you drive, eliminating the need to ever stop to recharge or refuel again. 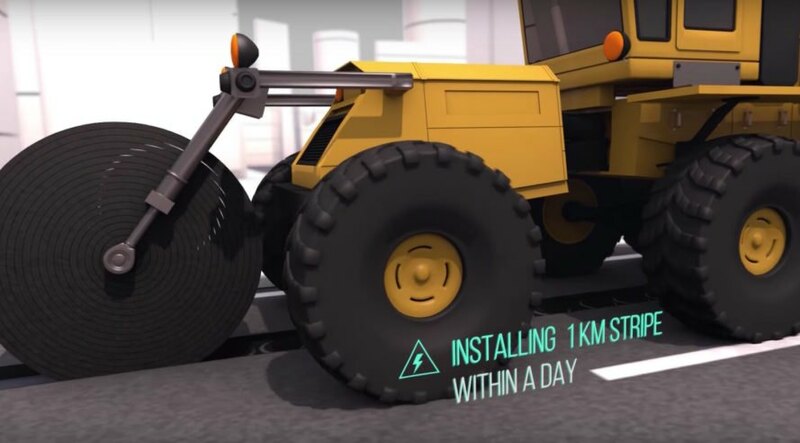 Israeli startup Electroad is working to pave the way towards a greener world with technology that retrofits existing roads with buried coils to inductively charge electric vehicles. 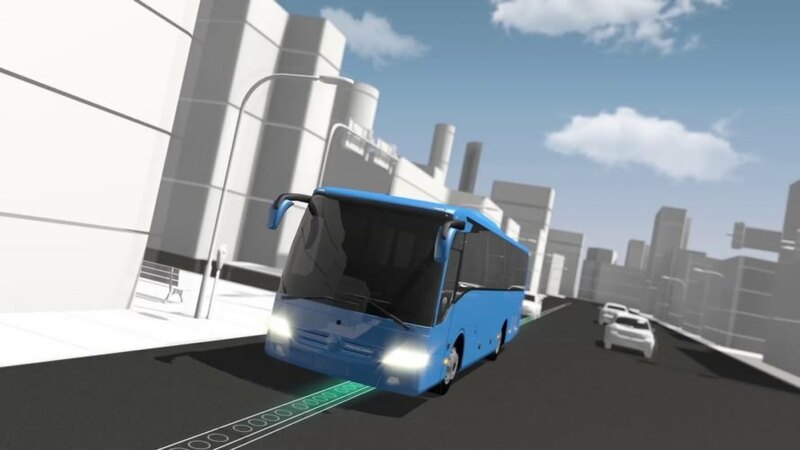 The team has already performed successful tests of the technology, and will be demoing the electric roads on a larger scale with a public bus route in Tel Aviv. Founded with the goal of reducing global emissions, Electroad promises a more cost-effective, efficient, and cleaner way to travel. The startup uses technology that relies on electromagnetic induction—the basic principle behind wirelessly powering smartphones and rechargeable toothbrushes—to power electric cars with renewable energy while driving. Although other companies like Qualcomm and KAIST also work with wireless vehicle charging, Electroad’s CEO Oren Ezer says that while the concept is the same, the technology is different. “Our technology is flexible,” said Ezer. “Only copper and rubber is needed, and deployment is quick and easy. You can retrofit one kilometer of road in just half a day, from night to morning.” The installation process begins with an asphalt scraper that digs an 8-centimeter-deep trench. A second vehicle installs the wireless energy charging strips and fills the trench back up with asphalt. Smart inverters with real-time communication are installed on the sides of the road. A coil unit attached beneath the electric vehicle receives power transferred over a small 24-centimeter air gap. Radiation is minimized and locally shielded for driver and passenger safety. Electroad plans to focus on public transportation first before opening the platform up to private transit. The startup successfully tested their technology with an electric bus five months ago in Tel Aviv and opened 20 meters of retrofitted electric road outside their lab. Soon the company will test out the technology on a public electric bus with a set route in Tel Aviv. 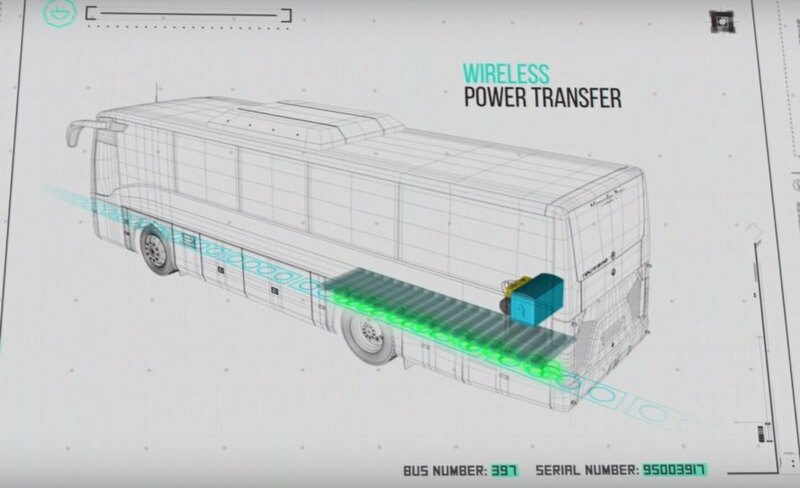 Since the bus will drive on electric roads, it won’t need to be recharged though it will have a small battery to allow the bus to drive up to five kilometers without an electric current. Ezer has a dream to turn all of Israel’s transportation electric with inductive charging. Electroad received a research and innovation grant from the European Union’s Horizon 2020 and recently completed a program at Capital Nature, an accelerator that focuses on emerging renewable energy in Israel. The startup plans to test their technology on a public bus route in Tel Aviv next year. BAD VERY BAD for someone with a knee issue!!!! In the early 90's less than 6 automobile manufacturers in the world had GOVERNANCE system for AUTOMATED GUIDANCE VEHICLES. TELCO India was one of them. They laid cables below the path of AGV's. These cables when energized generating induced EMF, each vehicle was allocated an induced EMF potential rings. The vehicles moved along a particular potential ring such that the probes of the vehicle gets zero potential difference. This technology was available 22 years back. The same vehicle can have charging probes that uses the potential difference of Induced EMF rings to generate power, store it in a inbuilt capacitor, condition it and charge the vehicle battery. The biggest challenge today is increasing the vehicle traffic intensity along a track, traffic separation or anti collision mechanism and Safety/ Health & Environmental issues related to induced EMF / Radiation. The startup uses technology that relies on electromagnetic induction—the basic principle behind wirelessly powering smartphones and rechargeable toothbrushes—to power electric cars with renewable energy while driving. The installation process begins with an asphalt scraper that digs an 8-centimeter-deep trench. A second vehicle installs the wireless energy charging strips and fills the trench back up with asphalt. Smart inverters with real-time communication are installed on the sides of the road. A coil unit attached beneath the electric vehicle receives power transferred over a small 24-centimeter air gap. Electroad plans to focus on public transportation first before opening the platform up to private transit. The startup successfully tested their technology with an electric bus five months ago in Tel Aviv and opened 20 meters of retrofitted electric road outside their lab.